A decade is a long time and a lot can happen in ten years. Friendships can begin; relationships can blossom; movies and music can take over the world; and people can completely transform their look. From hair colors and styles, to clothing choices and makeup looks, there are so many ways someone can change in a decade. They can end up looking like a whole other person entirely. While most of us look pretty much the same every ten years – give or take a few slight tweaks here and there – there is a group of people who are known to mix things up so often, that come ten years, we can barely recognize them. These folks are the female celebrities of the world. Thanks to the Internet, there is a new social media phenomenon popping up all over so we can keep up with these transformations. That’s right; we’re talking about the #10yearchallenge. Let’s see how much these lovely ladies have changed over ten years and stare in awe at how fabulous they are. 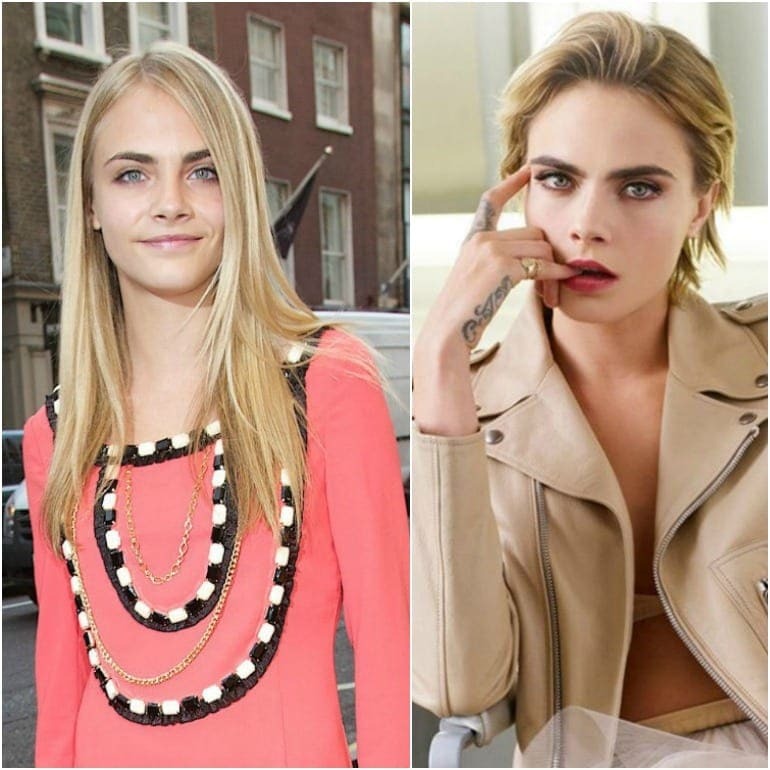 Cara has been an “it” girl pretty much her whole life, but she really became a star when she got a modeling contract and began acting. She went from being just a pretty face to a talented actress that everyone can’t stop talking about – she has appeared in movies like Paper Towns and Suicide Squad. While her eyebrows are always the talk of the town, her social life and party girl status is also something people love to whisper about. There is one thing for certain about this model: she looks just as great at 17 as she does at 26. Margot Robbie is definitely an up and comer in Hollywood and she has been building up a wildly successful career for just over a decade. From films such as Suicide Squad, I, Tonya, and The Wolf of Wall Street – not to mention every other movie she has been in – Robbie has proven time and time again that she is here to stay. When she was just getting started, she was in the Australian Soap Opera, Neighbours, but once she moved to the United States, she snagged herself a starring role in the short-lived series Pan Am. From there, it didn’t take long for her to get noticed and she has only been thriving ever since. 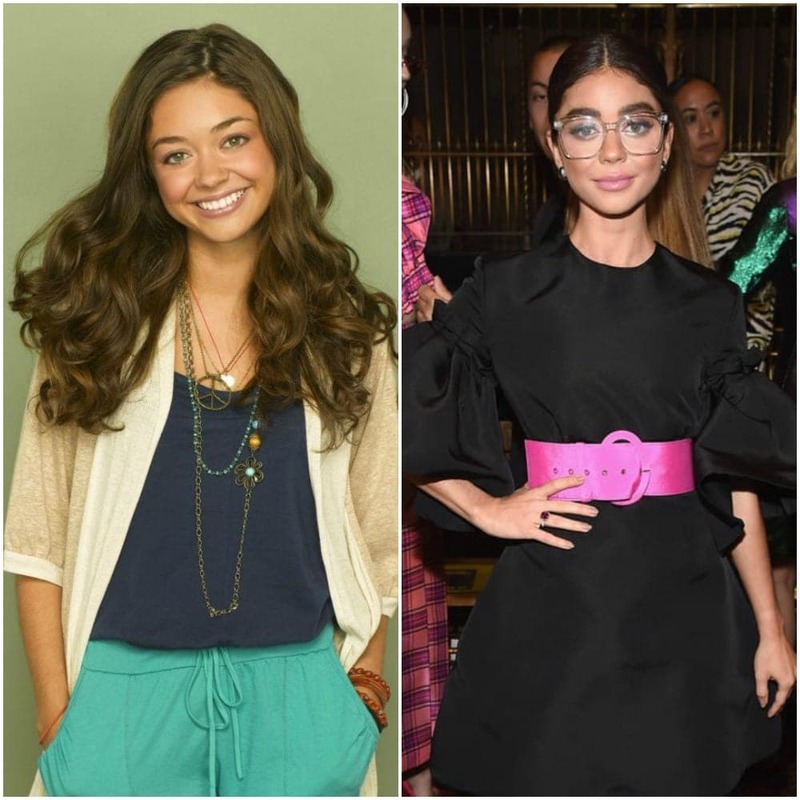 Sarah Hyland jokingly mentioned that in the last ten years, probably one of her best decisions is letting her eyebrows go a bit. She may be one who’s known to laugh and joke around constantly, but that doesn’t mean that she hasn’t had an incredibly difficult life. 2012 and 2017 proved to be two of her hardest years after two different kidney transplants – the first donations from her father, the second from her brother. Hyland has gone through a lot, but she keeps pulling through and shining like the star she is. 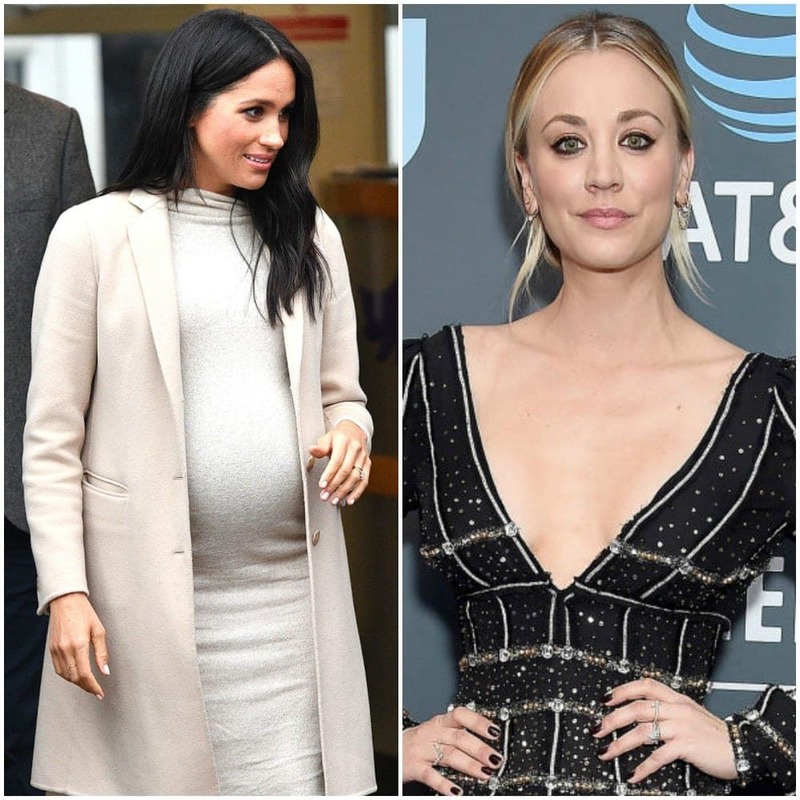 We wish her nothing but health and happiness, lots more Modern Family, and maybe an engagement this year with her boyfriend, The Bachelorette alum, Wells Adams. Ariana Grande seems to be on a rollercoaster of emotion and wild events in her life. The girl really can’t catch a break. Thankfully she has stayed strong and she is focusing on herself now. From her Manchester concert being the target of a terrorist attack to her former boyfriend, rapper Mac Miller, passing away, and then breaking off her engagement with SNL personality Pete Davidson, it’s safe to say that she has had a tough few years. A consistency, however, has her talent and popular music. After starting off on Nickelodeon shows such as Victorious and Sam and Cat, she shot to fame and is now one of the biggest pop stars in the world. 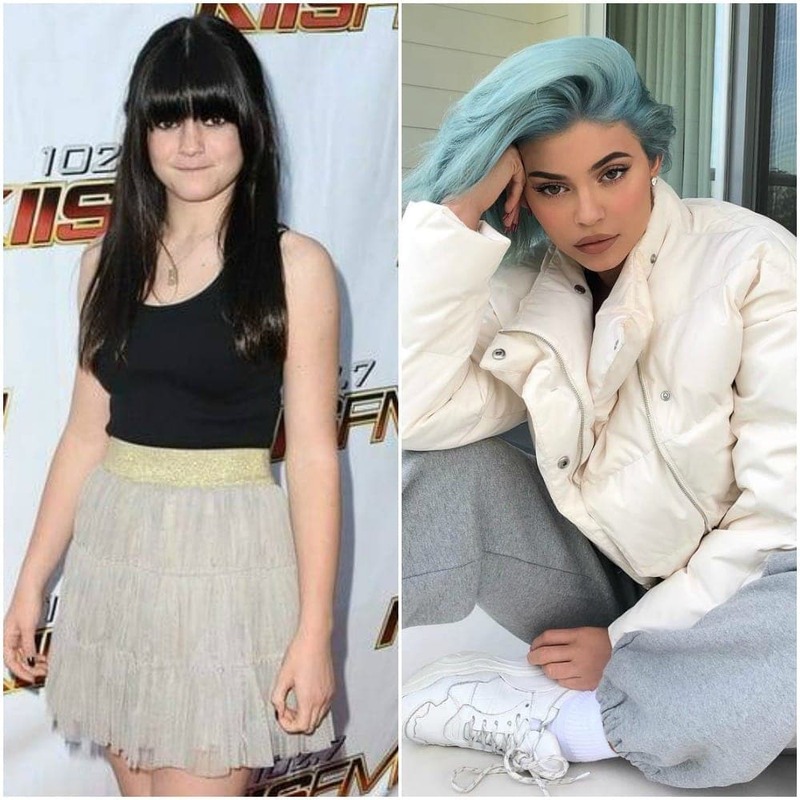 Other than the fact that she has grown into a mature young woman as opposed to a young girl, probably the biggest change in Kylie Jenner’s life over the past ten years has been motherhood – oh and her bank account, obviously. Aside from her current beau, rapper Travis Scott, the biggest love of Kylie’s life is her daughter, Stormi, who was born in February 2018. While Jenner’s family – which includes father Caitlyn Jenner and half-sister Kim Kardashian – has never really been struggling for money, she alone is set to become the youngest self-made billionaire with a current net worth around $900 million. Her mother, Kris Jenner, may have helped contribute to this significantly, but Kylie Cosmetics is all Kylie. It’s unavoidable, the Royal Family has taken over the world. Meghan Markle may have been a huge boost, but before her, there was Kate Middleton. 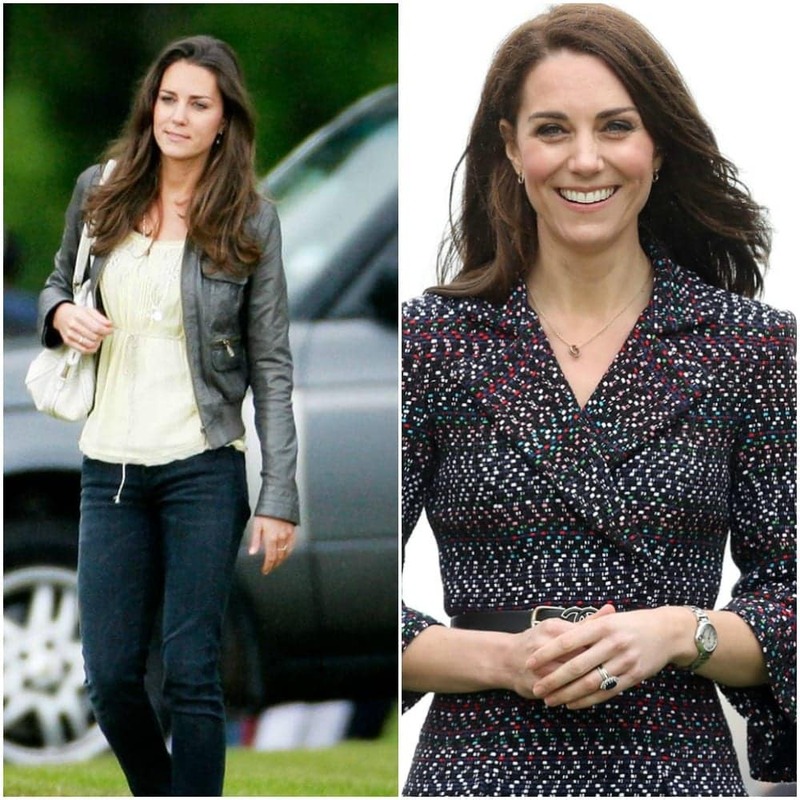 In 2011, she married Prince William and became the Duchess she is today. Since then, she hasn’t really changed all that much in appearance, but her life is probably entirely different. She is married to a future king, and the mother of another one, after all. We can’t wait to see if Kate brings a fourth child into the world within the next few years. 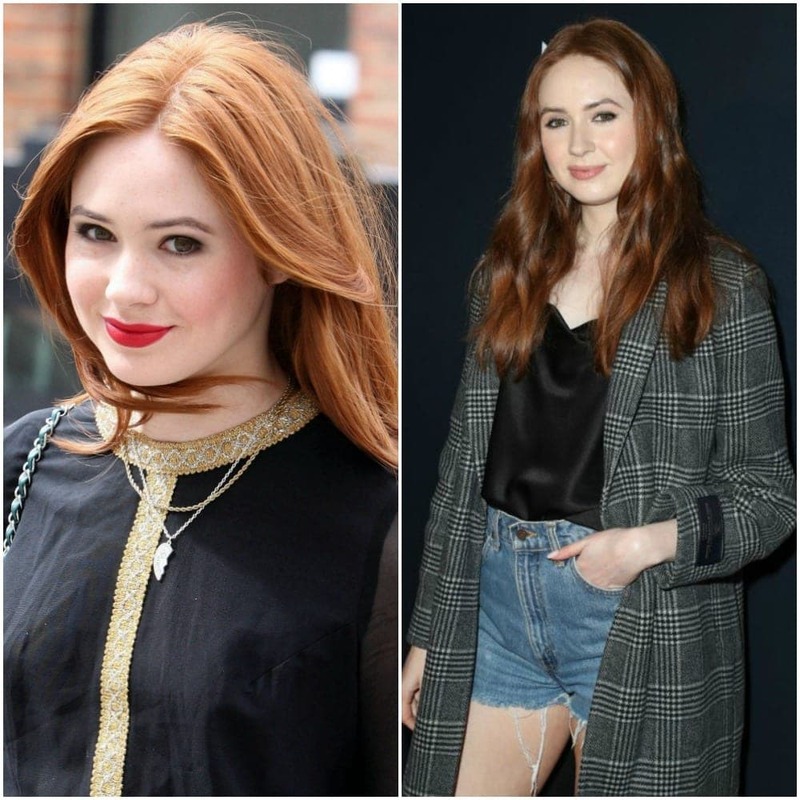 Thought most people know her for her more recent work, Karen Gillan started off strong when she appeared as Amy Pond in the wildly popular British series Doctor Who. Since then, there have been two other major roles that she is most famous for: Nebula in the Guardians of the Galaxy and Avengers movies and Martha in the Jumanji films. This Scottish actress is headed in the right direction and doesn’t seem to be slowing down any time soon – at least we sure hope she doesn’t. 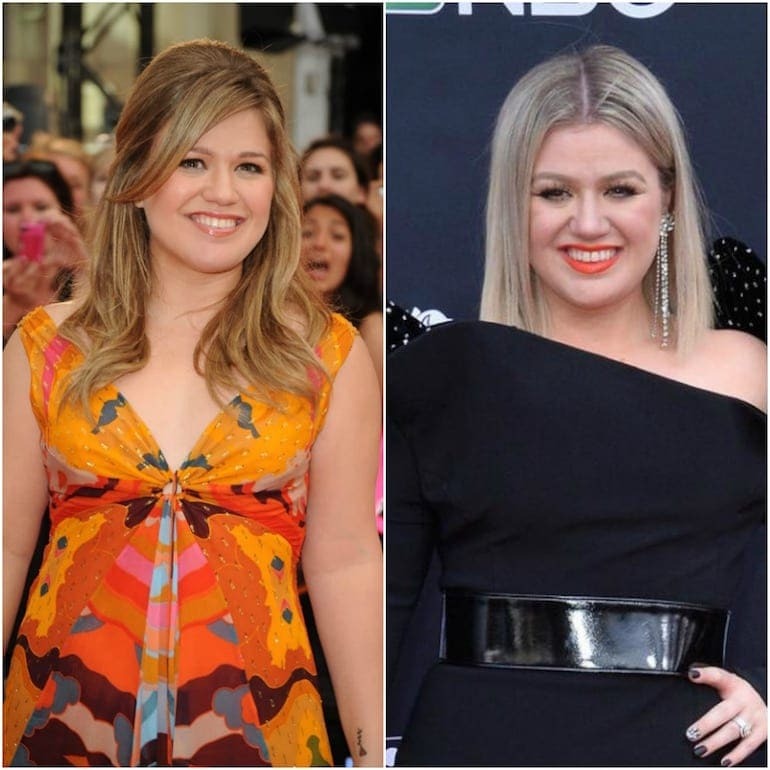 Kelly Clarkson has been sharing her incredible voice with us since 2002 when she won the first season of American Idol. Clarkson may have started on Idol, but she is currently a judge on The Voice and a lot has happened in between her time on these two shows. She was diagnosed with a thyroid condition that caused her weight to fluctuate constantly; she found the love of her life, talent manager Brandon Blackstock, and they got married in 2013; and she welcomed two children into the world. For those who forgot Lady Gaga could act, we’ll remind you of her phenomenal performance in American Horror Story, for which she won a Golden Globe. The pop star has always been known as the quirky, bizarre artist who takes things one step too far when it comes to fashion. 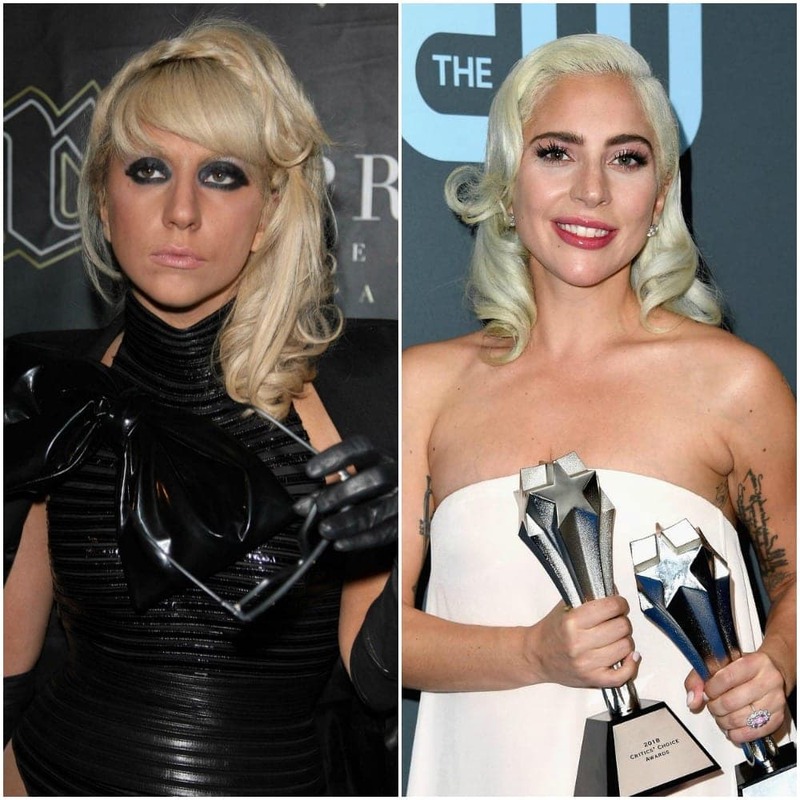 Now, she is still an incredible singer, but she is also busy being nominated for awards for her acting talents in films like A Star is Born. Needless to say, we can’t wait to see what she does next. Hailey Baldwin used to be just the the girl who accompanied her famous father, Stephen Baldwin, to Hollywood events. These days, however, she is on her way to becoming one of the biggest models of her time. Oh, and she is also married to Justin Bieber. Baldwin is currently working her way up, and definitely has friends in high places – such as Kylie and Kendal Jenner, Bella and Gigi Hadid and Karli Kloss. We can only assume that one day soon she will be as big as them. Miley Cyrus has definitely gone through multiple transformations in the past ten years. 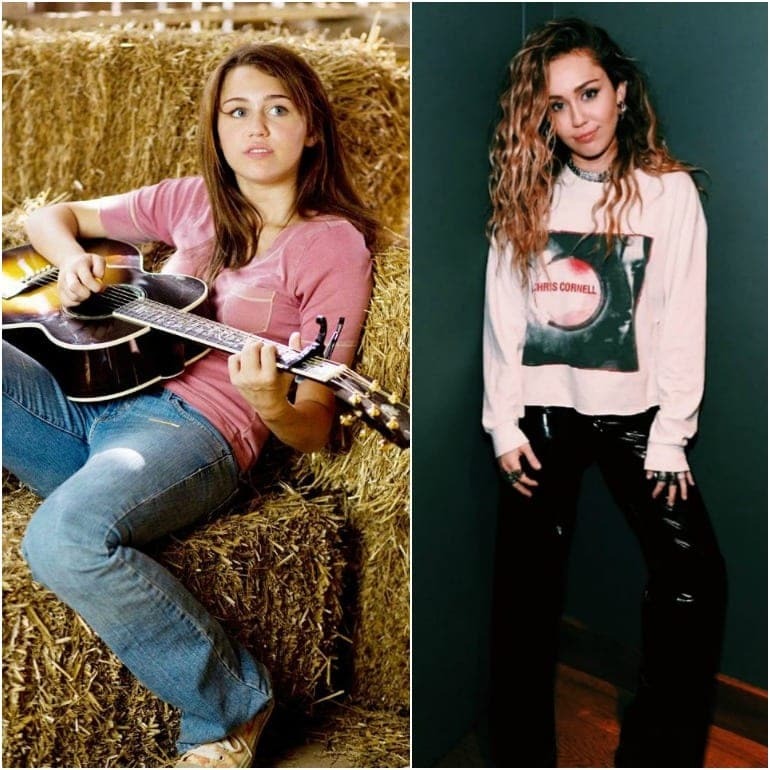 She went from being Hannah Montana to being a wild child who seemed like she was out of control. These days, however, she appears to be back to a down to earth young woman who has her head on straight. In the very end of 2018, however, she did surprise the world by secretly marrying her longtime boyfriend, Liam Hemsworth. He has definitely been a constant in her life over the last decade or so. Demi Lovato has been struggling with personal issues for much longer than ten years, but since the age of 18, she has struggled with substance abuse, eating disorders, and mental health issues. Thankfully she is on the road to recovery and has proven that she is really trying to work on herself. 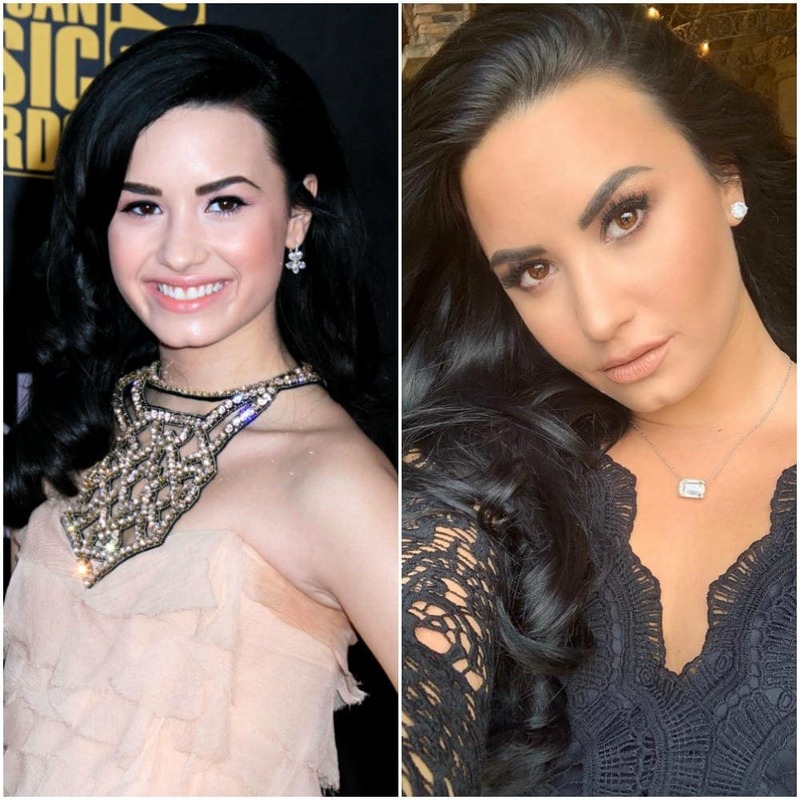 Though Lovato chose not to create her own 10-year challenge because she is steal healing, we wanted to show just how well she looks and we wish her all the best as she grows stronger and healthier. 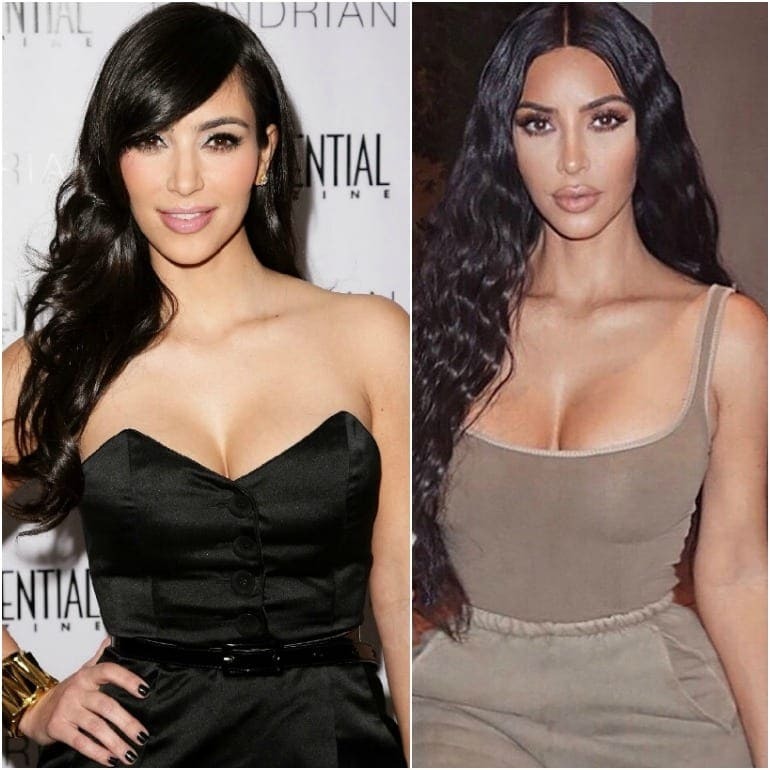 Kim Kardashian is definitely one of the biggest names in the world and she has only gotten bigger in the past ten years. Kim has remained on her family’s reality TV series Keeping up with the Kardashians since 2007, and is one of the most well-known television personalities of all time. She married rapper Kanye West in 2014 and the two are currently expecting their fourth child via surrogate. Other than this, she has become the selfie queen, and one of the most followed people on social media. Carrie Underwood is another American Idol winner who went on to become a huge star. After winning the fourth season, she shot to fame and her light really hasn’t shined out since. This talented country music singer has been winning awards from the beginning of her career and is still continuing to do so, even as recently as Fall 2018. 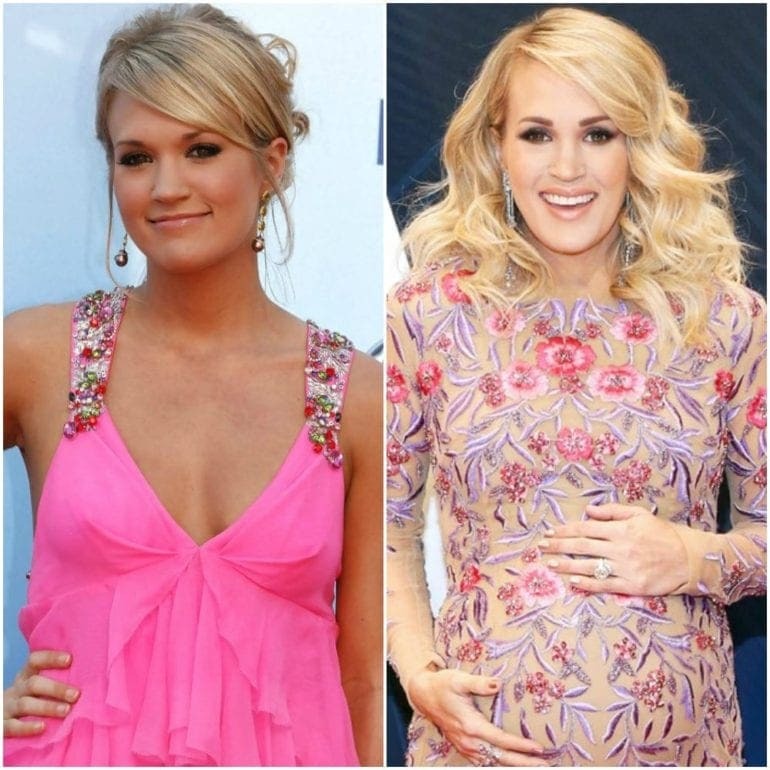 Aside from Underwood’s extremely successful music, she married NHL player Mike Fisher in 2010 and she is currently pregnant with their second child. True Kaley Cuoco fans loved her from her time on 8 Simple Rules, but she is most well-known for her iconic role of Penny on The Big Bang Theory. We are certain, however, that even though the series will end in 2019, she will have no problem moving onto her next huge role. Though we’re bummed that she and her co-star Johnny Galecki didn’t work out in real life, we’ve moved on and so has she; in June 2018, she married equestrian Karl Cook. Meghan Markle is definitely the woman of the hour right now. After marrying Prince Harry in May 2018, people just want to know everything about her. She started off as an actress in the legal drama Suits, but has since given up her acting career to join the Royal Family. In October 2018, she announced she was pregnant with her first child, and the little bundle of joy is expected to arrive in Spring 2019. Obviously her life has completely changed in every way over the last ten years. Ariel Winter is hardly recognizable from who she was ten years ago. It’s actually been over the past ten years that she really shot to fame thanks to Modern Family. Though she has had plenty of other work – such as the children’s show Sofia the First – she is best known as Alex Dunphy. Winter got the world talking when she started wearing clothes that were a bit revealing, but she has defended her look, proving she is comfortable in her own skin and we think it’s great. Jessica Simpson is definitely no stranger to the spotlight, as she has been a huge name in Hollywood for far longer than 10 years. Though her career has slowed a bit, she still keeps finding ways to remain relent and she certainly never fails to catch our attention. Currently, she is pregnant with her third child and she actually posted a 10-year challenge making fun of how swollen her feet are now, compared to ten years ago. Simpson is married to former NFL football player Eric Johnson.